I ran a update about 4 days ago it was a big update and the UI changed it look as well, but ever since that update it will no longer connect to the server to update. so something happened since that huge update and UI change. I even redownloaded the EEK from the main site and it wont update still. your EEK updates are running now as expected after disabling the protocol content filtering option in the ESET software? Yes, but that is far from an optimal solution since you are disabling a major part of NOD32 protection. thank you for the feedback. It is not a bug in EEK. 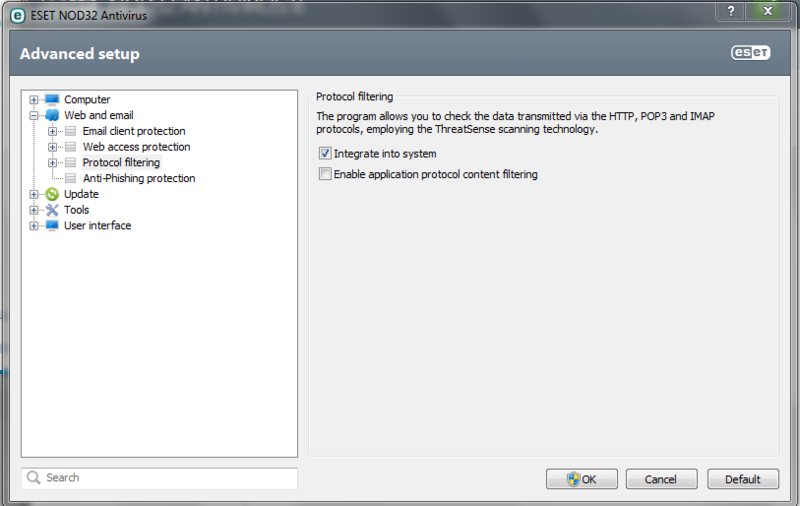 The ESET protocol content filtering feature blocks our updates. Maybe there is a whitelist in ESET to exclude EEK from the ESET content filter? Then it is not needed to disable this feature in ESET.